Access to finance, knowledge and skills are commonly identified as key barriers to starting up. We believe there are some simple actions Government can take to help more people start-up and grow their business. Build stronger links between Government financing for enterprise and universities, so that they are able to inform the design of schemes, such as StartUp Loans, to ensure that those that would benefit from this support are better able to do so. Widen access to critical enterprise support available for graduate start-ups to enable enterprise growth across all key sectors. Target money from the new national fund for local enterprise to strengthen local networks and provision of university support for graduate start-ups. Pro-actively use and promote empty properties for the use of graduate start-ups, helping to nurture local start-ups. Recognise entrepreneurship as a legitimate graduate career, reflecting it more fully in employment and business data. Graduates from UK universities are producing some of the most innovative and competitive businesses in the world today. 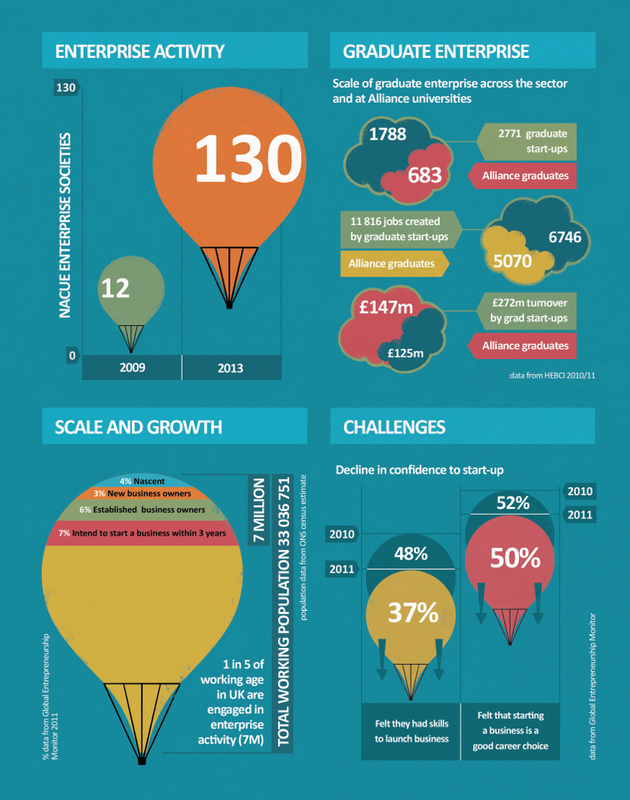 The scale of, interest in and support for graduate enterprise is growing but significant challenges remain.